The 35th Rolex Middle Sea Race was one to remember. Not only for international fleet that, for the third year in a row, set a record number of entries, but for the array of conditions that the yachts faced. From no wind to too much; from flat calm to turbulent seas; from going nowhere to flying fast & furious: the 606-nm mythical racecourse offered everything. The worthy winner had to conquer the elements aswell as the competition. Exceptional challenges bring out the best in exceptional characters. 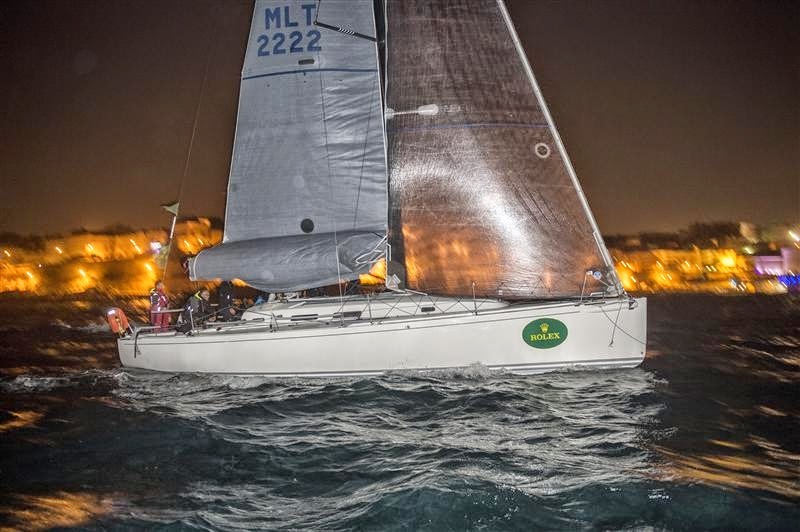 Step forward Lee Satariano and the crew of the Maltese J/122 Artie, winner of the 2014 Rolex Middle Sea Race. 122 yachts from 24 nationalities ranging in size from 9.5 to 30.5 metres gathered at the start of the Rolex Middle Sea Race 2014. Twenty-three more yachts than the previous record set in 2013. “Having a larger fleet and different nationalities is satisfying, because it means that the popularity of the race is not only increasing in numbers but extending to many places,” enthused Godwin Zammit, Commodore of race organizers. Royal Malta Yacht Club. The Rolex Middle Sea Race was first run in 1968 and Rolex has been the title sponsor since 2002. On Saturday 18 October, the cannons of Valletta’s Saluting Battery overlooking Grand Harbour marked the start of the 2014 race under a clear sky, a subtle southerly breeze and the watchful gaze of a sizeable crowd. The 606-nm racecourse comprises an anticlockwise circumnavigation of Sicily, starting and finishing in Malta. From the start, the fleet heads north through the Strait of Messina before passing to port Stromboli, the Aeolian and Egadi islands, Pantelleria and Lampedusa, and finally returning through the Comino Channel to the finish off Marsamxett Harbour. For Tom Addis, navigator on the 100-ft Maxi Esimit Europa 2: “The thing about this course is that you get all angles. There is always something extreme - it is never an easy 10-15 knots of wind race!” Addis took line honours at 2009 Rolex Sydney Hobart with this same boat when it was Neville Crichton’s Alfa Romeo. Other than the similar length of their racecourses, and that both are sponsored by Rolex, there are very little similarities between both races.” It would soon become clear that the Mediterranean had decided to argue with Addis’ opinion. The wind at the start was a light southerly. The first night at sea saw the fleet struggling to make ground towards the Strait of Messina. Concentration, attentive trimming, correct sail selection, precise helming and minimizing unnecessary movements were the key to getting anything out of the conditions. 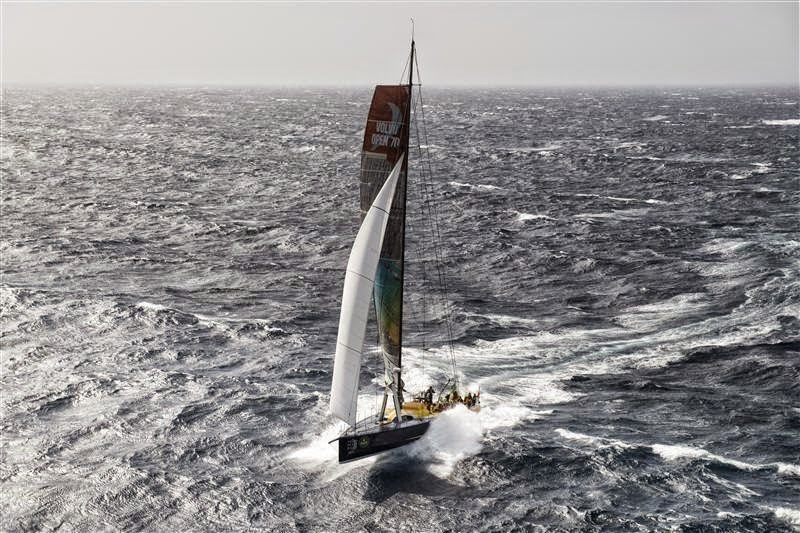 Twenty-four hours into the race, and only the leader had passed through the Strait. The Jochen Schümann-skippered line honours favourite Esimit Europa 2 covered just 215-nm in the first complete day of racing. 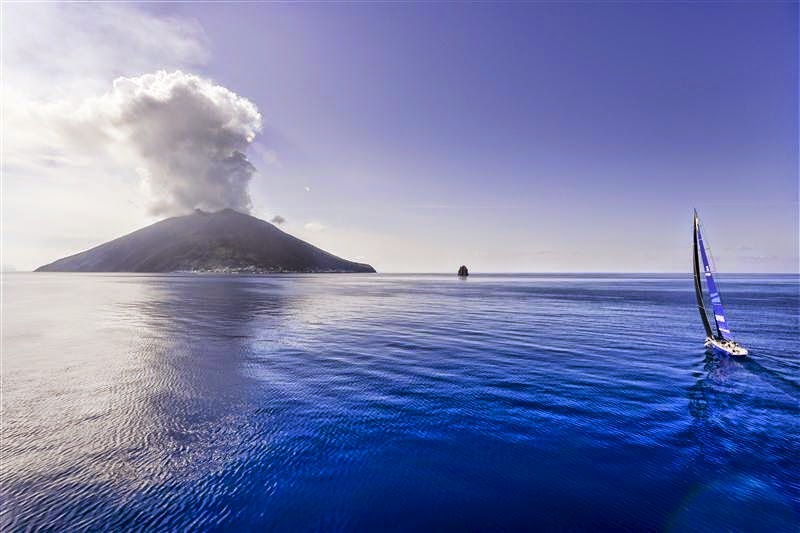 By noon she was 10-nm from Stromboli struggling to make six knots. Rán, Shockwave and B2, the next yachts on the course, were still tacking the Strait, some 30 miles behind. “The first night of this race is a very tricky and tactical affair,” explained Ian Moore, navigator on Italian Cookson 50 Mascalzone Latino, one of the faster entries. “You go straight for the corner of Sicily but as soon as you have got there you begin thinking how do I enter the Strait?” Vincenzo Onorato’s boat would be the fifth to pass into the Tyrrhenian Sea. Some twenty-four hours later and Esimit Europa 2 had still yet to pass the halfway point. Most of the fleet was wallowing 100 nautical miles astern. The second night proved another opportunity for crews to hone their ability to deal with little or no wind. As more yachts rounded Stromboli, some diverted north in the search of breeze. The fact remained that everyone was barely moving. Esimit Europa’s hopes of overturning the 47 hour, 55 minute and 3 second race record (set by American Maxi Rambler in 2007) evaporated in the still heat. The fourth day started with good news for Niklas Zennström’s Rán, as the Swedish Maxi 72 became the provisional overall leader after a productive third night at sea. On rounding Favignana, Rán had followed Esimit Europa 2’s strategy of hugging the western Sicilian shoreline. When Esimit was brought to another standstill approaching Pantelleria, Rán reduced the lead to a mere 5-nm. Later that morning the gap would widen again as the leaders finally hit double digits. Meanwhile, the remainder were still labouring to pass Palermo on the northern coast of Sicily. Esimit Europa 2 used the building breeze to confirm her status as favourite for line honours, finally crossing the finish line in Malta’s Marsamxett Harbour at 22:47.05 CEST on Tuesday night. The Slovenian Maxi completed the course in 3 days, 10 hours, 42 minutes and 5 seconds. This fourth line honours win, following victories in 2010, 2011 and 2012, set a new record for the Rolex Middle Sea Race: some compensation for failing to better the course record. After three quiet nights, a dramatic change in conditions occurred late on the fifth day. The wind built progressively from the northwest. Storm force winds began to sweep the course and the face of the race changed, just as most yachts were reaching the exposed westernmost point at Favignana. GYR Scarlet Oyster reported 48 knots of wind just before retiring with a broken rudder. The German crew on the 48-ft Sjambok reported a massive gust of 60 knots. Grey Goose sent photographic evidence of its instruments recording 50 knots. With the hours of darkness exceeding daylight it was a long and difficult night. Proof of the extraordinarily treacherous conditions lies in the eventual number of retirees – 71 – and the litany of damage reported by the fleet, even close to the finish. “The pin of our keel failed just as we left the Comino channel”, reported Portuguese skipper Diogo Caiolla, on the Swiss 42-ft prototype Kuka-Light. French yacht Teasing Machine lost her mast 20 miles from the line. As crews reached the finish line, their faces were a mix of elation, exhaustion, relief and above all a huge sense of achievement. Lee Satariano’s J/122 Artie crossed the line at 00:45CEST on Thursday, after 4 days, 13 hours, 35 minutes and 05 second of racing. Her nearest rival in Class would finish 8 hours behind on both elapsed and corrected time. Later that morning, with several yachts still racing the Royal Malta Yacht Club made an official announcement declaring the Maltese team could not be beaten and had won the race overall. An overwhelmed Satariano commented: “I can’t believe it. To win such a prestigious race, one of the most high level offshore races in the world, being a local boat and a local team is a great achievement.” Behind the delight was the knowledge of a job well done: “Having had the opportunity to reflect on the race, even more important than winning was the achievement of actually finishing. It was a very, very tough race.” This is the second title for Artie in three years, after victory in 2011, and the seventh Maltese victory in 35 editions. Fittingly, in the year when a record 122 boats started the race, it was 12.2m yacht that won. Saturday’s final prizegiving was a true occasion. Not only was it an opportunity to praise the victors as they received the Rolex Middle Sea Race trophy and Rolex timepiece in recognition of their huge achievement, but it was also a chance to acknowledge the herculean determination and perseverance of everyone who had participated. 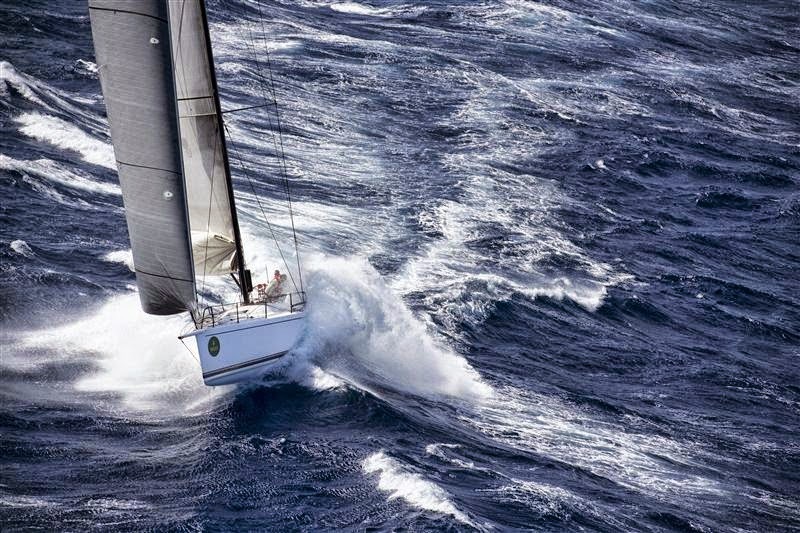 The 36th edition of the Rolex Middle Sea Race will start on 17 October 2015.